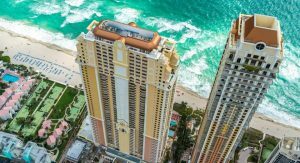 There a huge competition among real-estate developers to attract affluent customers and that’s all the more true when it comes to luxury properties. 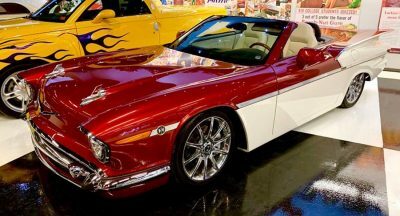 One way to gain the attention of wealthy individuals is to include super luxury cars in the prices of luxury houses and apartments. 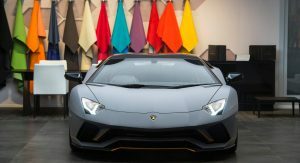 So what would you think about a penthouse whose garage includes the Rolls-Royce Cullinan and Lamborghini Aventador S? Pretty cool, right? 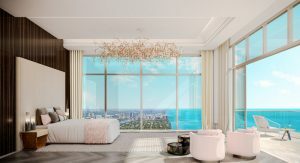 This extravagant offer is real and comes from Miami, Florida-based The Mansions at Acqualina. 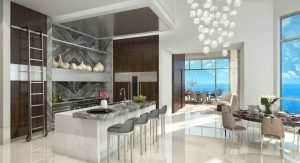 The sea-front luxury condominium has a move-in-ready penthouse for sale that comes complete with two super luxury cars. 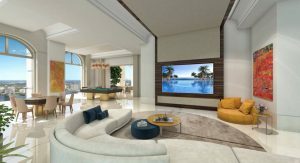 The “Palazzo del Cielo” costs $38 million (about €33.3 million) and comes furnished and accessorized with a custom design by Luxury Living/Fendi Casa. 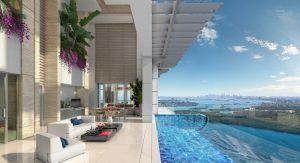 It features marble flooring throughout, including terraces and ceilings that are up to 15-ft (4.57-m) and 30-ft (9.14-m) tall in some areas. 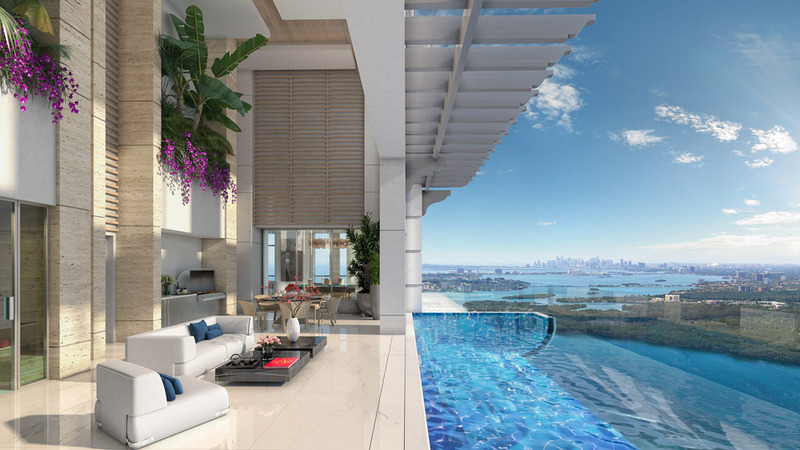 The penthouse occupies the building’s entire 47th floor, offering 9,000 square feet (836 square meters) of interior space and 2,500 square feet (232 square meters) of outdoor terraces. That’s enough space for four bedrooms, six full bathrooms, two half bathrooms, a grand salon, a family room, summer kitchen, sauna, and terraces that include a private glass-bottom pool. 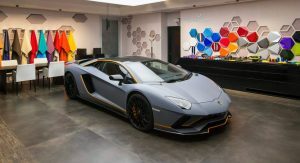 Also included in the penthouse’s obscene sales price is a two-car garage complete with brand new Rolls-Royce Cullinan luxury SUV and Lamborghini Aventador S supercar. 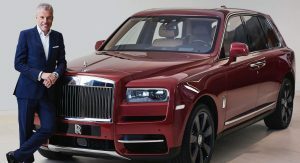 To celebrate the announcement, Rolls-Royce is showcasing at the property a Bespoke Cullinan with Magma Red exterior and an interior combining Bespoke Tan and Black leatherwork with Open Pore Blackwood veneer. 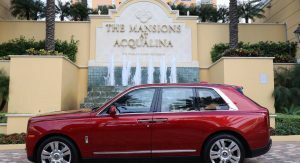 Rolls-Royce was glad to promote this project as The Mansions at Acqualina features more personally owned Rolls-Royce cars than any other property in the world. Its garages currently house 58 Rolls-Royces — even the house car is a red Ghost Series II. 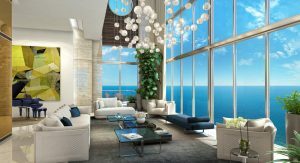 The developer expects to complete the penthouse in January 2019. A seriously ugly building. The realtor is going to have to do a lot more than throw in a couple or cars. 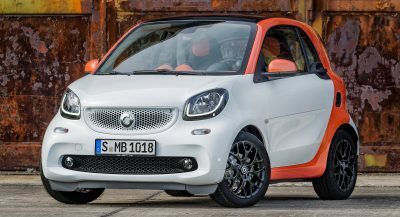 So if you don’t want the cars ,are they going to knock a million off the price ? DROP IT FURTHER IF THEY KEEP THE FURNITURE. YOU DON’T MAKE THAT MUCH MONEY BEING BRAIN DEAD. 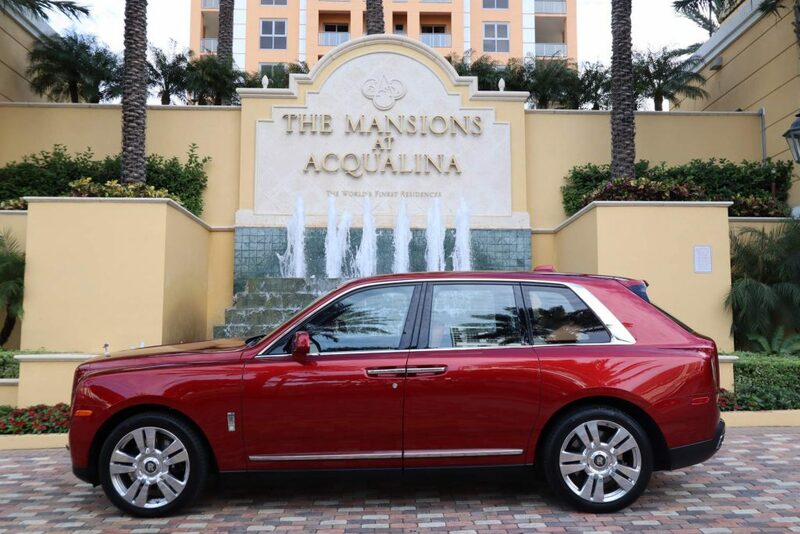 I CAN’T IMAGINE BUYING A HOME SOMEONE ELSE DECORATED LET ALONE PUTTING AN UGLY CULLINAN IN MY PARKING SPOT. 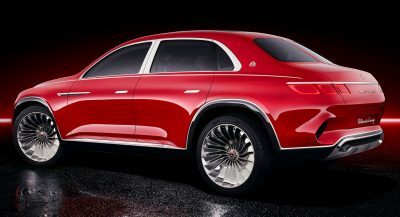 I agree , the Cullinan is definitely ugly.. The catch with this kind of ‘turn-key’ property proposition is that once you’re in there it becomes very boring very quickly. Plus having to drive past 58 other RRs in the parking garage really brings the Camry experience to your own Cullinan. Seeing your financial peers too regularly can become super mundane!